One of the most heartwarming and humbling ways that Sam managed to succeed in her dream, and keep the fire of the Sinchies brand going, is by seeing Sinchies used in the lives of special needs children. Sinchies is helping many children and their parents lighten their load when using items such as feeding pumps. 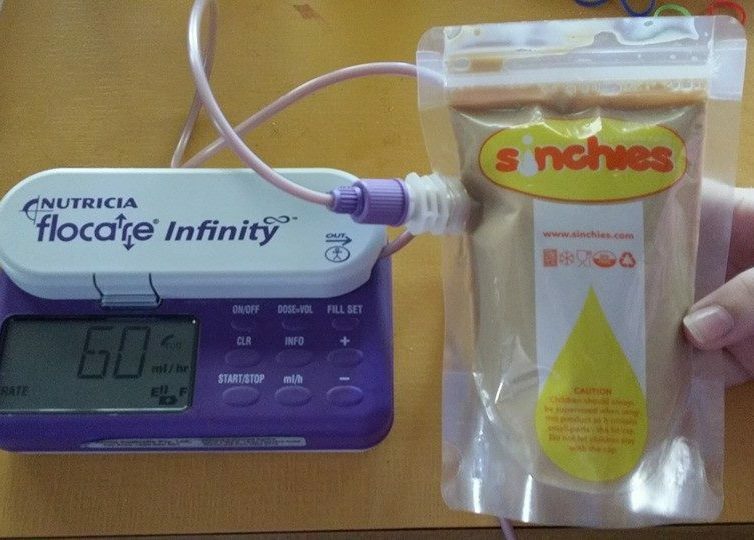 One parent wrote in and told Sam and the Sinchies team that her daughter uses the Infinity Feeding Pump. They attach a Sinchies 200ml pouch to the pump, which they then place in a basket decorated with headbands to match her clothes. This way she is able to carry her equipment around with her, and if they are going for a long walk or to the park, they can place the Sinchies pouch and feeding pump into her backpack. Before Sinchies, this family were using a 500ml bottle that had to remain upside down while hanging on an IV pole. This made it difficult for the family to go anywhere and when they did, it had to be for a very short time. This family have been using Sinchies pouches for their little girl since 2014, from the time their daughter was only three years old. It was such a relief to this mom to be able to watch her three year be a three year old and play more freely. She felt that Sinchies gave her daughter back her childhood, and has also given her a few more hours each day to enjoy being a mom. Read more about how Sinchies can help your family here.